LONDON—Police have arrested more than 450 protesters in the Iranian capital Tehran over the past three days, the deputy provincial governor said on Tuesday, as a crackdown intensified against anti-government demonstrations that began last week. 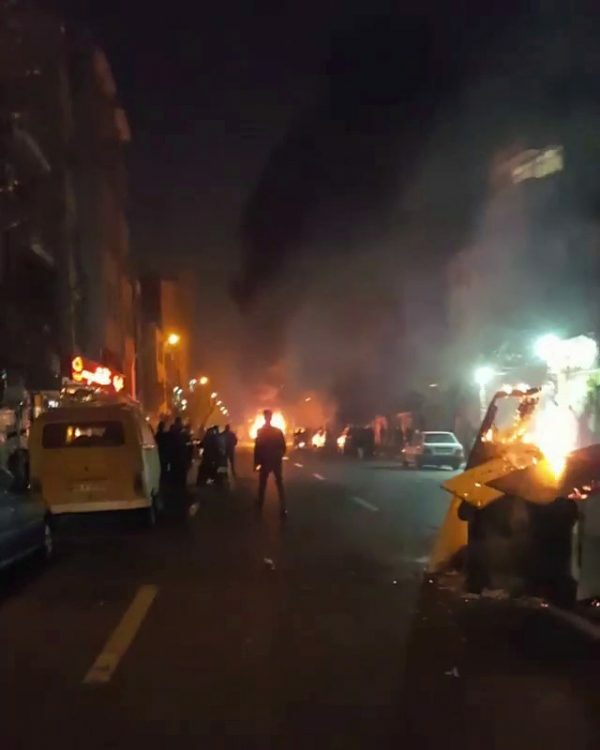 Protesters also attacked police stations elsewhere in Iran late into the night on Monday, news agency and social media reports said. One member of the security forces was reported killed on Monday, bringing to at least 14 the death toll stemming from the boldest challenge to Iran’s clerical leadership since unrest in 2009. Musa Ghazanfarabadi, head of Tehran’s Revolutionary Court, warned protesters on Tuesday that those arrested would face harsh punishment. 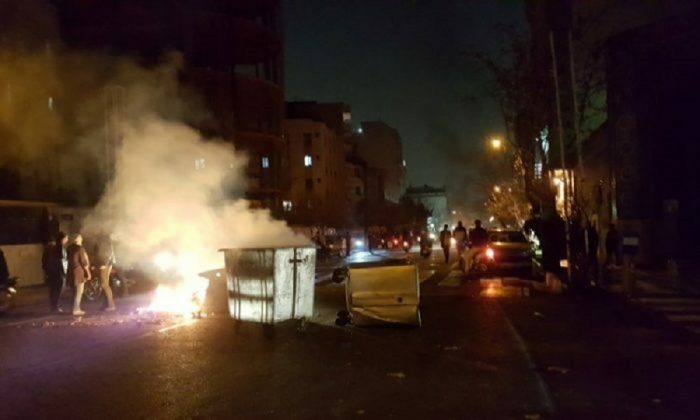 The semi-official ILNA news agency quoted Ali Asghar Naserbakht, the deputy governor of Tehran province, as saying that 200 people were arrested on Saturday in Tehran, 150 people on Sunday and about 100 people on Monday. Hundreds of others have been arrested in other cities, according to agency reports and social media. Naserbakht said the situation in Tehran was under control and police have not asked for the help of the Revolutionary Guards special forces. 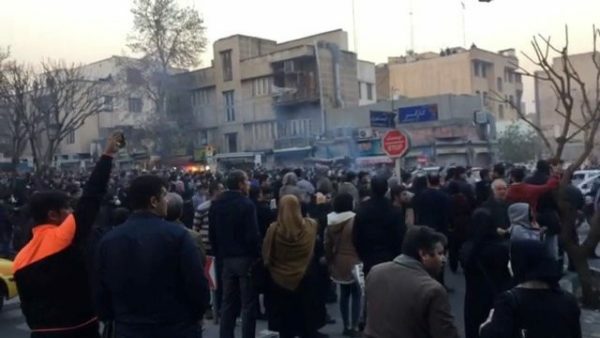 Mehr news agency also quoted a judiciary official as saying that several ringleaders of protests in Karaj, the fourth largest city in Iran, have been arrested. Ghazanfarabadi said the detainees will be soon put on trial and the ringleaders would face serious charges including “moharebeh”—an Islamic term meaning warring against God—which carries the death penalty. Iran’s judiciary chief Sadeq Larijani ordered prosecutors on Monday to “punish rioters firmly”. The demonstrations which broke out last week were initially focused on economic hardships and alleged corruption but turned into political rallies. Anger was soon directed at the clerical leadership that has been in power since the 1979 revolution, including Supreme Leader Ayatollah Ali Khamenei, the ultimate authority in Iran’s system of dual clerical and republican rule. Iran is a major OPEC oil producer and regional power deeply involved in Syria and Iraq as part of a battle for influence with rival Saudi Arabia. Many Iranians resent the foreign interventions and want their leaders to create jobs at home, where youth unemployment reached 29 percent last year. Government spokesman Mohammad Baqer Nobakht said in a news conference that both protesters and the security forces should follow the law. “People have the rights to protest but there is a difference between demonstration and riot…Even those who are confronting the rioters should act within the framework of law,” he said. Videos on social media on Monday showed an intense clash in the central town of Qahderijan between security forces and protesters who were trying to occupy a police station, which was partially set ablaze. There were unconfirmed reports of several casualties among demonstrators. Khamenei has stayed silent so far. Rouhani refrained on Monday from accepting responsibility for problems raised by protesters and he blamed his predecessor and also Iran’s long-time adversary, the United States for the government’s shortcomings. Rouhani, seen as a pragmatist who is at odds with hardliners, said: “People on the streets do not ask for bread and water, but for more freedom,”—implying that the protesters were not targeting his government but the more rigid establishment. Turkey said on Tuesday it was concerned by reports of people dying and public buildings being damaged in Iran. “We believe it is necessary to avoid violence and not succumb to provocations,” the Turkish Foreign Ministry said in a statement, adding that it hoped foreign intervention would be avoided.